Pictured is three coats plus top coat. So there we go, short and sweet post just a promised. :) I think this pink would be a lovely spring shade, though I do wish the holo was a bit stronger. 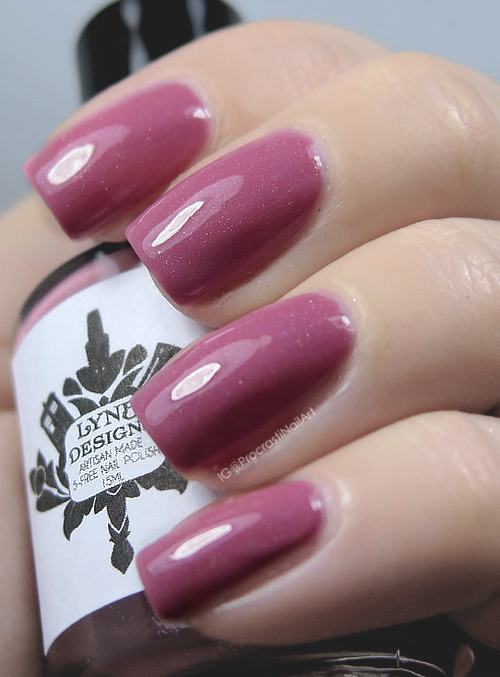 What do you think, is this a shade you wish you had picked up? Let me know! The polish color is really nice. Love how dainty this color is! I really liked this one too. I agree a little more holo would have been nice. The nail polish looks really great on you and they are so glossy!